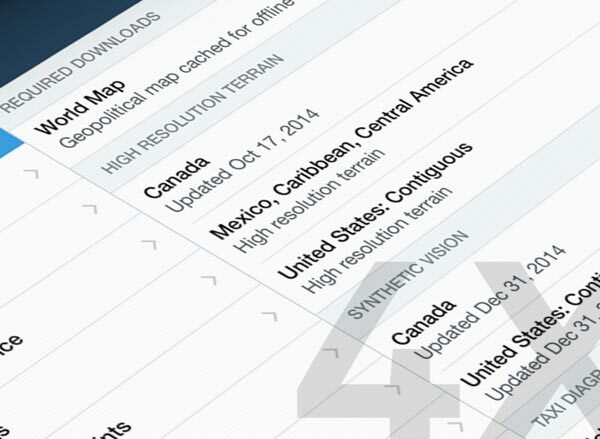 With ForeFlight, staying up to date with the latest charts and plates is easy. Simply select the types of data you want, the areas you want it for, and tap “Download.” When the FAA or NAV CANADA issues new data, the app will notify you and allow you to update with just a tap. 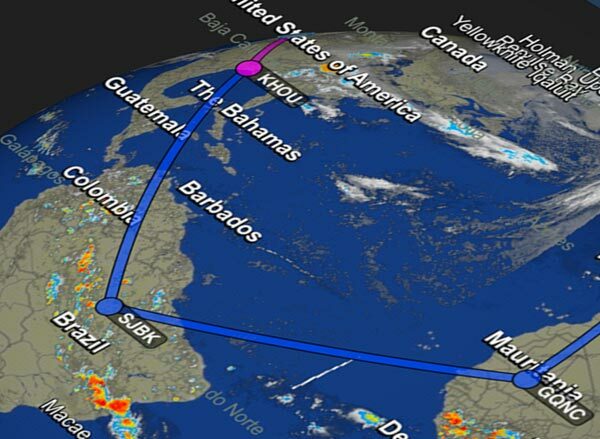 ForeFlight delivers best-in-class navigation data that covers the globe. Worldwide airports, navigation aids, airspace, airway, SID/STAR, and approach procedure data are all included. 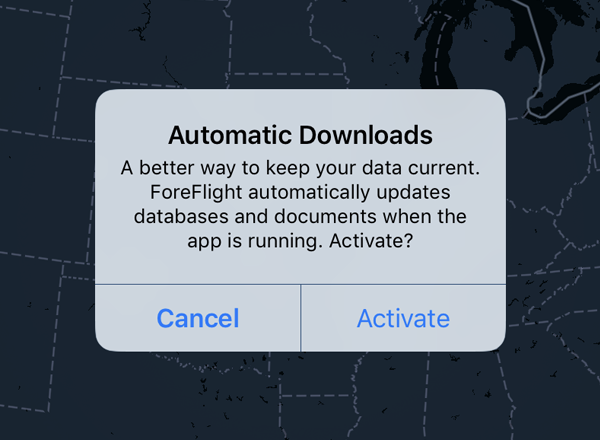 By only downloading the charts and data that actually change with each FAA data cycle, ForeFlight’s Delta Downloads™ technology results in 4X faster downloads and 70% less disk space, giving you more room on your devices for songs, movies, books, and your flying photos. Automatic downloads keep your charts and data current when connected to Wi-Fi. Downloads also will suspend when disk space is low. 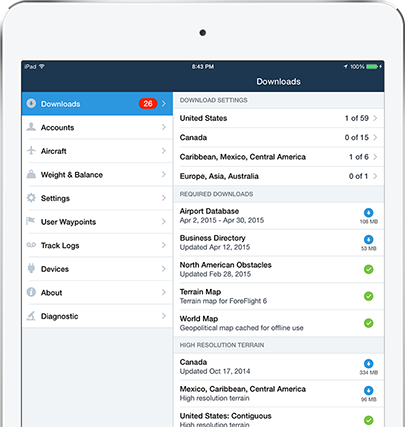 ForeFlight Mobile's Pack feature simplifies your pre-flight preparation and enhances your safety by ensuring that you have all of the current charts, data, NOTAMs, fuel prices, and the latest pre-departure weather information stored on your device for inflight access. Once you've entered a route, Pack analyzes it and automatically prompts you to download to your device the charts, data, NOTAM, fuel prices, and other information you will need for your flight. 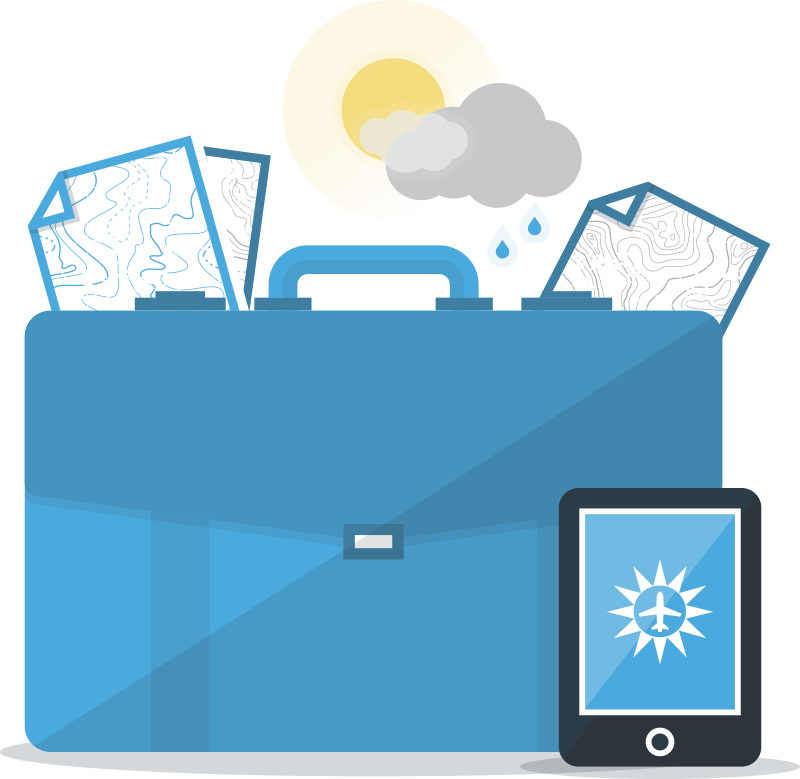 Plan, Pack, and Fly. It's that simple.